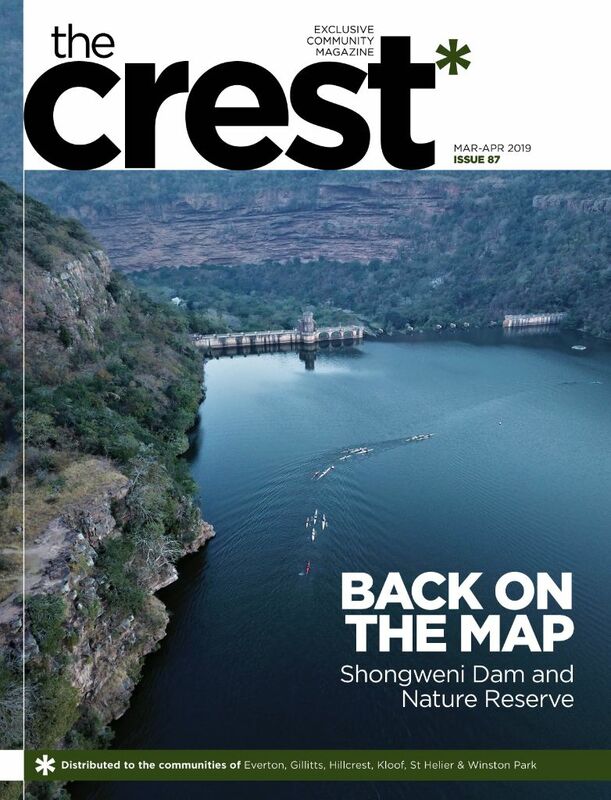 The Nkutu Valley and in particular the section immediately upstream of the Nkutu Picnic Site to Inanda Road is a biodiversity haven which is not well known to most residents of Kloof/Forest Hills/Waterfall. The Environmental Planning department at the municipality has been purchasing land whenever possible so that it can be protected from development.The Kloof Conservancy is very keen to promote a project with residents to rehabilitate and protect as much of the area as possible. 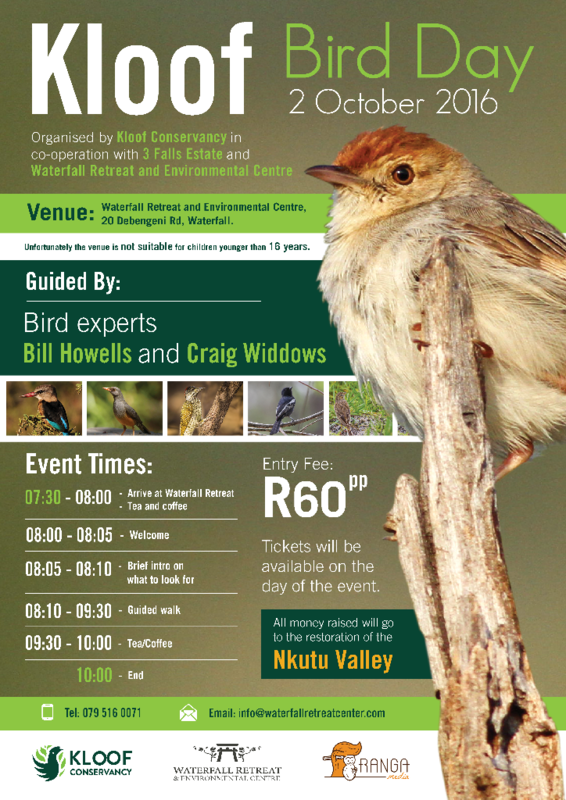 As part of the process to raise awareness on the value of the area The Kloof Conservancy are having a Bird Day using Waterfall Retreat and Environmental Centre as the base. Thanks also to Three Falls Estate for being part of the day as they will be also be walking on their section of rehabilitated land.